Photo: William Washington Seay House, ca. 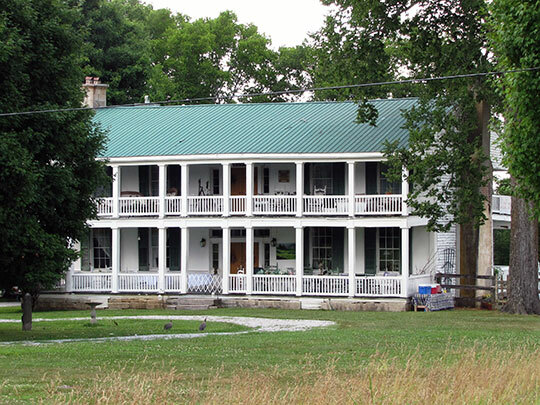 1835, 10575 Trousdale Ferry Pike, Flat Rock, Wilson County, TN. Listed on the National Register of Historic Places in 1995. Photographed by User:Brian Stansberry (own work), 2010, [cc-by-3.0 (creativecommons.org/licenses/by/3.0)], via Wikimedia Commons, accessed September, 2013. The Wilson County Courthouse is located at 228 East Main Street, Lebanon, TN 37087; phone: 614-444-1383. Wilson County was incorporated in 1700 and named for Major David Wilson, a Revolutionary War veteran and Pennsylvania Native, who was the first speaker of the Tennessee Territorial Assembly.